Inventory of homes in Ashland and Medford area for year ended June 2011. The supply of homes for sale in the Ashland area is up 1.1% for this year. 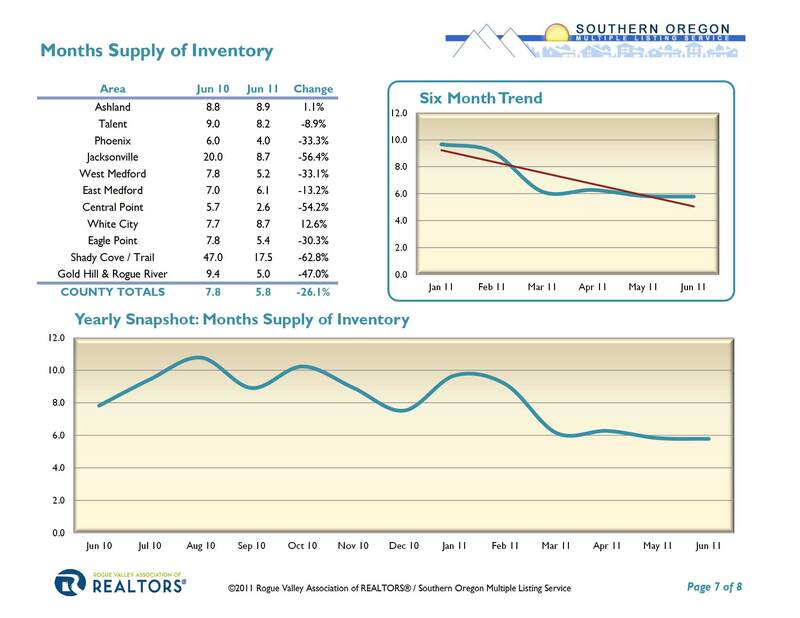 The supply of homes for sale in the Medford area is down 10.8% for this year. The supply of homes for sale in Jackson County is down 26.1% for this year. A normal supply of homes on the market is 4 to 6 months.